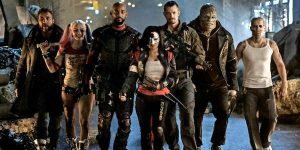 Why is everyone hating on Suicide Squad? It is by no means a perfect movie but it was a lot of fun to watch, the cast did a great job and in my opinion this is the best DC movie since 89 Batman. I am going to attempt to avoid speaking out against the Chris Nolan Batman trilogy, Man of Steel and Batman vs Superman – trust me you will hear enough about those movies from me at a later time. 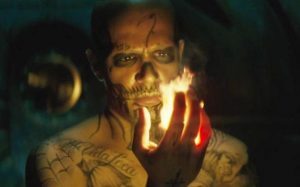 I really want to talk about all the good in Suicide Squad. What made it work for me. I really liked the story and they way they told it. Not a deep story by any stretch of the imagination but a fun story. I will confess that as a long term Marvel fan I only knew anything about Joker and Batman so I didn’t have any preconceived notion of what to expect. They ripped into the action and the main storyline almost from minute one. They didn’t spend half the movie telling the story behind the story, the back story of each and every person on the screen. Heck, Slipknot walked on the screen said a couple of lines and was dead a few minutes later. The story moved quick, there was not a lot of downtime and even though the final battle was a lot like the end of Ghostbusters – I really wanted Sigourney Weaver to step out of the husk that had been the Enchantress, there was resolution, almost everyone walked away and you felt good about the time you spent with the characters on screen. Harley Quinn – Margot Robbie killed it. She stole almost every scene she was in. Just enough of the cartoon Harley that we were looking for, 10 pounds of crazy in a 9 pound bag and they nailed the look. Margot Robbie is now in my list of actors that I will watch anything they are in. She moved right, she sounded right and though I was skeptical when I heard they were finally going to be doing Harley in a movie – she was perfect. Batman – Batman was in the movie for about 3 or 4 scenes and he was one of the most memorable parts for me. We had Batman acting like Batman for the first time since the original run of Batman movies starting with Keaton Batman in 89. We had a Batman that didn’t kill someone, We had a Batman in an actual Batmobile. We had a Batman taking pity on someone, even a villain, and helping out. Nolan-Verse Batman would have shot Harley in the face underwater and shot Deadshot so that his blood went all over his daughter’s face. I like BatFleck… a lot! 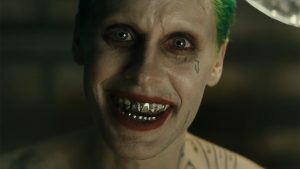 Joker – Regardless of what anyone thinks, Jared Leto may be the best cinematic Joker that we have ever seen. He was the head of a crime family. He had feelings. He was crazy, yes very, very crazy, but he had feelings. We got to see him caring for Harley and in flashbacks trying to kill her. Complex character with motivations and a flare for the dramatic and theatrical. Leto was superb. And brace yourself – he was better than Heath Ledger. Ledger was not really Joker. Ledger was amazing, but he was a maniac with facepaint not the Clown-Prince of Crime. Deadshot – Will Smith was having fun with this role. He was the Will Smith of summer blockbusters past. He played himself part of the time. Some of the dialogue delivery was what you expect from this former Bad Boys star but really, did you care. He was perfect. The moment when he stepped onto the car to wipe out the Enchantress’s army by himself and everyone else stopped shooting. You are lying if you say that you didn’t dig it. There is so much else that I liked about this flick, but there is no reason to keep going on and on. This was a fun summer blockbuster that should have been taken for what it was. Something new from a comic book movie – a movie about bad guys trying to do good things. You got what is in my opinion the best DC movie since Batman 89. Don’t read the bad reviews. Go watch the movie and count it for what it is. Go watch it and enjoy it. 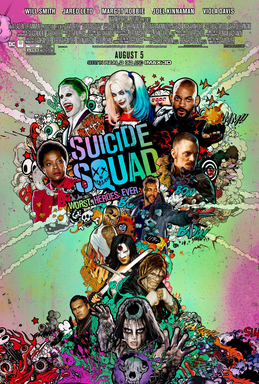 Suicide Squad is a solid comic book movie and hopefully it warrants a sequel.